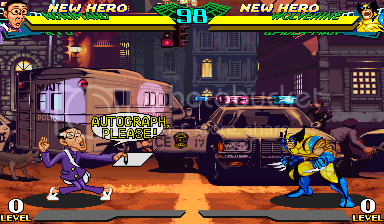 TheRedKnight wrote: And isn't it Marvel Super Heroes VS Street Fighter where the JP version has an extra character (Norimaru) and not Marvel VS Capcom? Yes, although you can enable him in any version: http://forum.arcadeotaku.com/viewtopic. ... 55#p237555"
2 bats is better than 15. World ver or the newer ver is always the parent in Mame. Hence this thread. Know of any additions where this choice isn't ideal? It's just a reference document. With AttractMode I can pull the set names into a "Better.tag" file and plonk "Better" into a filter, so it has indirect use there.